Is it just me, or is this door remarkably skinny? Taken on Granville Island in Vancouver, British Columbia. ← Mount Rushmore: The Highlight of South Dakota? Hmm, without seeing somebody standing next to it it’s hard to tell. It could be taller than normal and that will make it seem narrow. Extra context needed, I think. It does look extra skinny, and in need of some TLC! But I do love that color! Looks pretty skinny to me, too, Sabina. I’m sure there are no couches inside–if so, it must be magic! I think it is skinny. 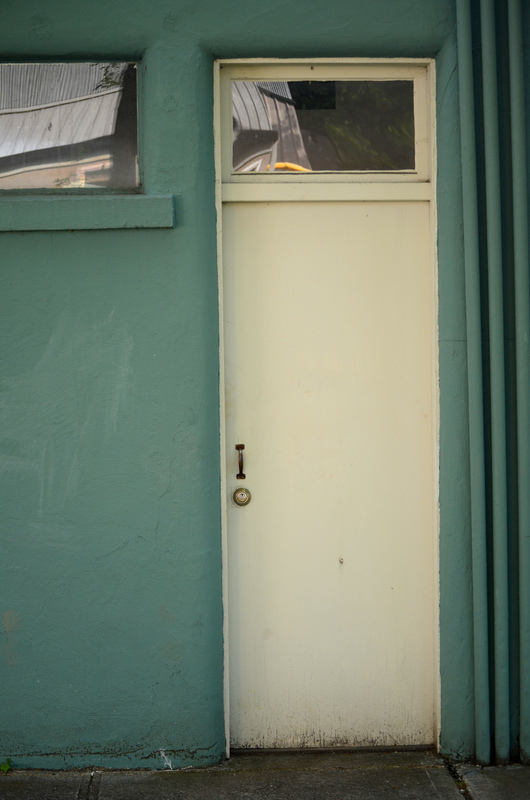 It’s interesting that for such a simple door, they added the transom light.